We like our rags-to-riches tales because they highlight how a person goes from nothing to someone who people look up to. And it’s all the more amazing when such a person comes from our part of the world. This is one such tale of an entrepreneur from Multan, M Tanveer Nandla, an individual made $4,500 in one day by just using internet. Tanveer hails from Multan. The youngest son in his family, he studied BS Information Technology from Bahauddin Zakariya University in south Punjab. During his second semester at BZU. he chose to learn some web development since he saw the potential internet held. In those early days, he came across Google Adsense, which he used in combination with YolaSite, Yahoo GeoCities and Blogspot to earn money. He netted $64 via Adsense in his nascent days as on the internet back in 2007. He soon realized that internet publishing is nothing without SEO, and that’s when he learnt SEO optimization and best practices through trial and error and a combination of devouring all the tips and tricks he learnt on the internet. His first website, www.pkfunda.com went live in 2008. His competitors were brands like Hamariweb, SMS4Smile, PaperPK, etc. Nandla claims that his website crashed because the server could barely keep up with the traffic it was getting. Later on, his Adsense account associated with PKFunda was disabled by Google due to a copyright claim on the YouTube videos. Though he can’t recall the precise figures now, he believes that PKFunda made $1500 before Google disabled Adsense. The shutdown of PKFunda notwithstanding, Nandla had another venture in mind. After completing his studies, he built a sports-based website in 2011. Using all the knowledge he had gained over the years (mainly for content and SEO), he ensured the site was a success. This is where he started looking into event blogging more seriously. The start of the year saw him launch Fashion 2012-13. His fiancé was the inspiration behind this idea. She helped him write articles for the website. He mentions that the fashion website started out with SEO-optimized seed content and then usual daily publication in the following days. From the second month onwards, the site started generating money. This venture earned Nandla around $1500 from advertising. Later on, he flipped it through a friend for $2500 on Flippa. In all, he had earned $4000 in around 2 and half months from the fashion-based website. At its best, Nandla’s websites had 1,216k users online! The success behind the fashion website made him decide to take event blogging to a whole new level. Nandla states that in a month, he earned about $4500 from his sports website in a single day. M Tanveer Nandla is doing many things currently. He is a lecturer at Bahauddin Zakariya University, his alma mater. He is in charge of teaching about programming languages. In addition to this, he is managing a company called ‘MWebs.’ He still does blogging and SEO at a few niche sites, event based and affiliate sites. It’s easy to replicate event blogging now because there are much more guides, tutorials, experts and content available nowadays. Things weren’t easy back then. Tanveer’s journey was by no means easy. His office faced closure at one point when matters were not so rosy financially. But through a combination of hardwork and grit, he ensured that he and his staff got their due. And of course, he showed us that he dared to dream big, no matter how dire or limited his origins were. “The future belongs to I.T. savvy youth of Pakistan. They should not be afraid of failure, because failure is only the first step towards success. They should define their goal maturely and work hard to chase that goal. They should recognize their skills and their personal calling. Always follow what fascinates you. Hard work always pay off if one is sincere in his intention and works hard”. Care to provide the links of his sports and fashion websites? is this exactly what they do? I am sorry I don’t know much about this stuff just wondering why they wouldn’t share/promote their websites? I guess, Most of the sites names are mentioned already. Congrats brother keep up the good work. SEO guru <3 …. good luck in our next SEO and adventures… congratulations bhai! So you made over 17k+ $ in around 9 days. Thats great :) There is no reason to ask How? 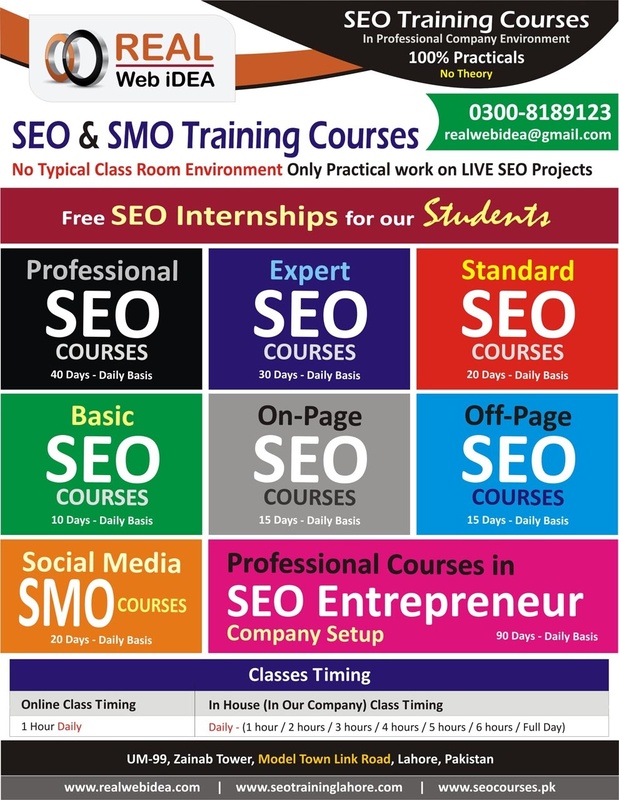 because thats the worst part of Pakistan Internet Marketing Scene, No one is willing to share/teach what they have learned. thanks you :) not only Pakistan Internet Marketing it’s same all around the world. you are still in bzu multan??? Grow and uplift others you will be grown, share your learning with others, you will learn more. Thats Law. Into affiliate marketing? CB? Amazon? Which affilate marketing you are doing, I see good converstion. Are you doing Amazon marketing ? I m a physically disable person Pl let me know how can I earn from internet. Now a days I do work on internet from captcha typing which is too much hard. pl send your cell no for further discussion. I m too much needy person. Can you share the url of his sports website? Who the hell in the world his/her website if that is making him that money? The whole article looks suspicious to me. You can disagree but it all looks fake…. @disqus_7Nxy97Gmgi:disqus I started 5-6 years ago, If you had asked me this question back then I wouldn’t have tried to argue with you because I did not had enough time to explain instead I focused on making this work despite anyone’s doubts. Now look around you, I know guys who have cracked deals worth this much money even more over night doing freelance work so yeah I believe it to be true. Its just business, pal. Amir Bhai is that u..??? bhai inta maal kaise banaya aapne ya net se li hai pic??? Voluum is an affiliate tracking tool buddy! Nicely done buddy! Keep’em coming. ROI is banging, Good Work! Brother please guide me how can I earn like you all???? Most Pakistanis earn money by sharing content like “اس بے حیا لڑکی نے ایسا کیا کیا کہ لوگوں نے اسکی ٹھکائی کر دی”. Sharing some stupid content like this and deceiving visitors by cheap tactics. how exactly they earn money by writing such lines? Good Going M Tanveer Nandla . Masha Allah. Someone would like to tell me how can I earn like you all guys?? Urgently Looking for Co Founder/Partner from the field of HRM and IT As we are starting a new startup (Company) on a unique idea related to HRM and manymore. Any male female student have passion, smartness, leadership skills, imaginary, idealist take challenges, face difficulties, energy to do some thing new can joins us. If you know coding (learning to code is not huge deal), are consistent & hardworking with a never-give-up attitude (that is a huge deal! )… then Nothing is impossible. For those who think this is just a statement, see attachment. If you go looking for success, success will find you. Wow, isn’t it something that you achieve after studying for years BS/MS in Computer Science? Software Engineering B.Sc but I think degree does not matter much. You must be able to showcase and “prove” your programming/development skills, problem solving abilities and a can-do attitude. As a matter of fact, last two are important in almost any field you are working on. Can you mention here all the languages you know what you consider are important when it comes to doing it what you’re? In software, there is no limit what you can learn or do. Its a matter of desire for learning & attitude. Since I am self employed, the title does not matter. What matters is : Whether or not one is satisfied with the combination of effort vs earning. When time passes and you develop a certain (good) reputation, you can choose what areas to work in (like web development only or mobile app development only or Desktop application development only or a combination of all of these). There are hardware related projects too such as those for raspberry pi, Arduino and other boards for hardware projects. Yeah it is possible to earn through Upwork huge money like you. I am also working at Upwork and keeping bucks into my pocket through hard work. There is only way hard work passion.